With a veteran suicide rate averaging 22 every day, the work to support our nation’s veterans has just begun once they return home. With over 10 times the amount of veterans lost to suicide than to combat operations in the same time period, there has never been a more important time to TAKE A STAND and DO something to support our veterans!! 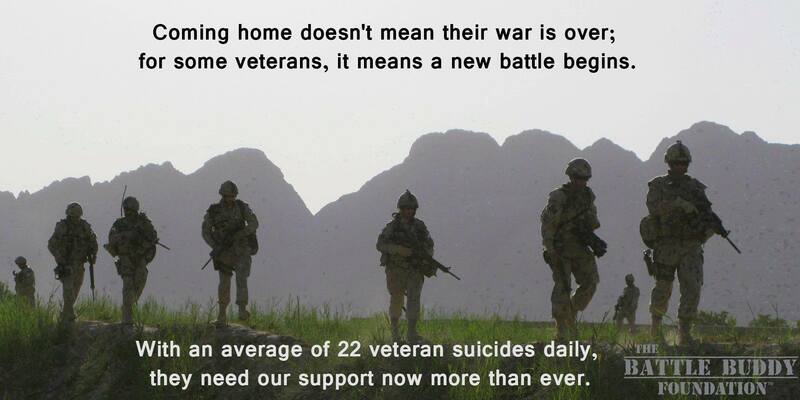 Just because they come home, doesn’t mean we stop supporting them! Founded by Veterans to Serve Veterans, TBBF exists to effect long term and tangible change in the lives of veterans of all eras. 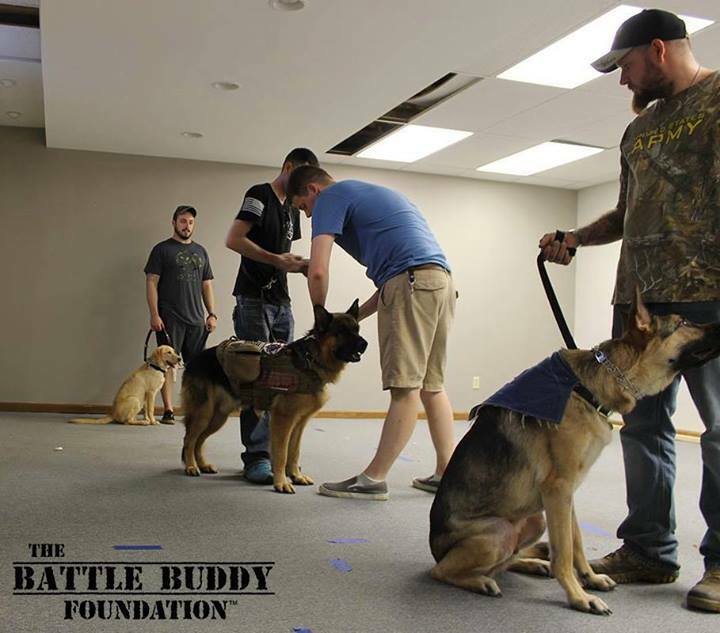 TBBF is dedicated to making a positive, healing impact in the lives of injured veterans by providing psychiatric and mobility service dogs at no cost. These highly trained service dogs bring results that medication alone cannot. Psychiatric service dogs are trained to perform specific tasks that help mitigate debilitating symptoms of some psychological and physical impairments. A Battle Buddy is a lifeline that brings about an enhanced quality of life and personal freedom. They wake their handler from nightmares, detect and redirect flashbacks, remind them of medications, guide them from stressful situations and perform other vital tasks. Many of these benefits can be life altering to the veterans struggling with post traumatic stress, giving new healing opportunities for both themselves and their families. Because of the intricate tasks the service dogs must learn to perform, initial training takes a year or longer, at a cost which can exceed $15,000. You can help save a combat veteran’s life and dramatically change the lives of their family, by donating and helping to provide these basic needs for service dog training.